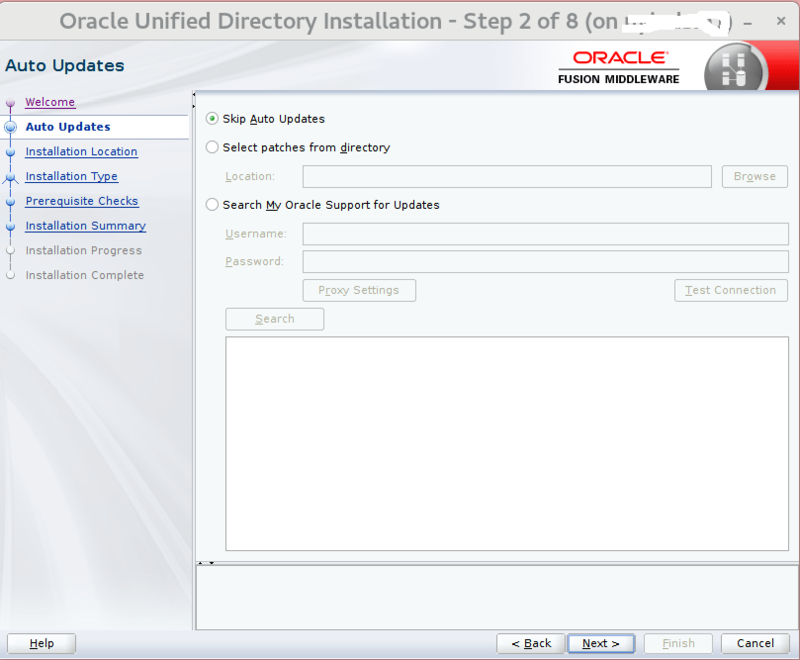 Below I am going to show you how to upgrade Oracle Unified Directory(OUD) in just a few simple steps. 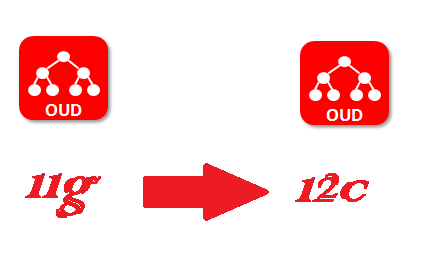 Note: If you are looking for, how to upgrade ODSM from 11g To 12cPS3(OUDSM) please click here. Why upgrade? Below are just a partial list of whats new. It might be beneficial to glance thru the official Documentation. Next, we are going to extract the software. The download file will be called something like fmw_12.2.1.3.0_oud_Disk1_1of1.zip or V886447-01.zip (depending for wear you downloaded the file). You will now have an extracted file called fmw_12.2.1.3.0_oud.jar. TIP: Now is the time to disable any OUD alerts i.e. SMTP alerts, you can easily do so with the ODSM/OUDSM console. One of the OUD 12c requirements is to use Java 1.8. so we make sure to install and set java 1.8 as your OUD running envierment i.e set the JAVA_HOME. TIP: The installer will launch a GUI, so you will need GUI or Xforwarding will work (and this is what I use), just ssh -X your OUD_host or ssh -Y OUD_host(depending in your OS) should do the trick. Something like the screen shot below. Click next, and you will get a summary screen, something like the below screen shot. 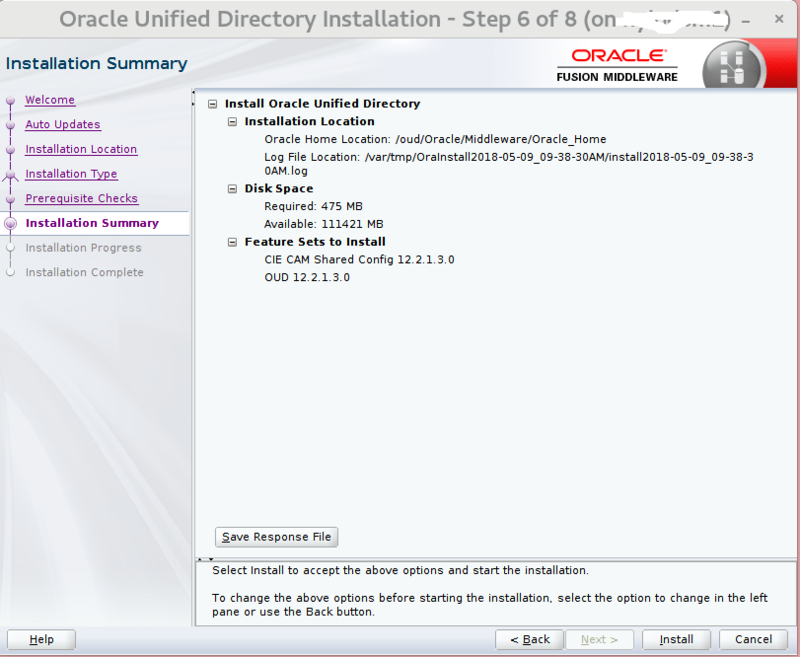 Now, Just click install and wait for the installation to completed. Post install modifications – Plus bug fixes. Next, we need to run a small script to change Java path’s, which is done by running the script below. Note: If you are running OUD on Solaris, you will run in to the below bug which can easily be fixed. To fix the issue just modify the script – like the below, otherwise the script won’t completed. Now, you are ready to run the script, an example is below (assuming your OUD path is /oud/Oracle/Middleware/asinst_1). Next, we need to remove the old Java properties file, you do so by running the below. Note: The new location of the properties file is /oud/Oracle/Middleware/asinst_1/OUD/config/java.properties, if you make changes just make sure to run /oud/Oracle/Middleware/asinst_1/OUD/bin/dsjavaproperties for the changes to take effect. Finally we are almost done. We now need to upgrade the OUD Database, you do that by running the below. Note: This might take a while depending on your directory (and group) sizes. Once this process is completed, you are finally ready to bring back online the OUD instance. Just start the OUD instance like normal by running the below. 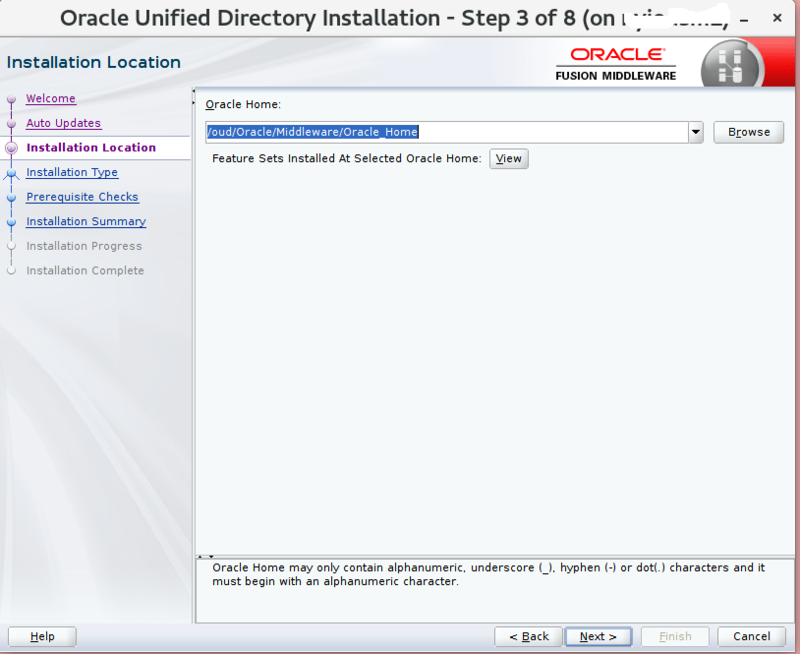 You might also like – Oracle ODSEE to OUD Directory Replication or Migration.